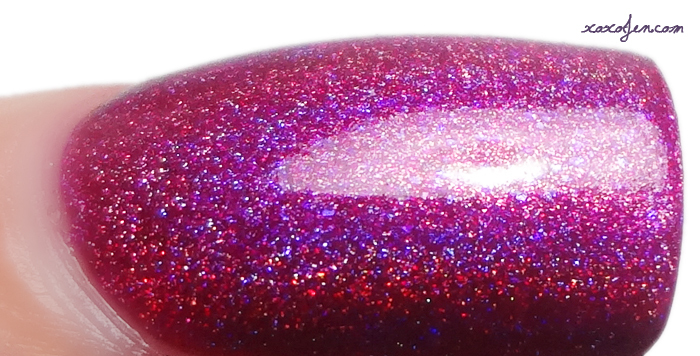 Ella Ann Cosmetics sent a couple of polishes to me from the Grace-Full Effervescent Brights collection to review. 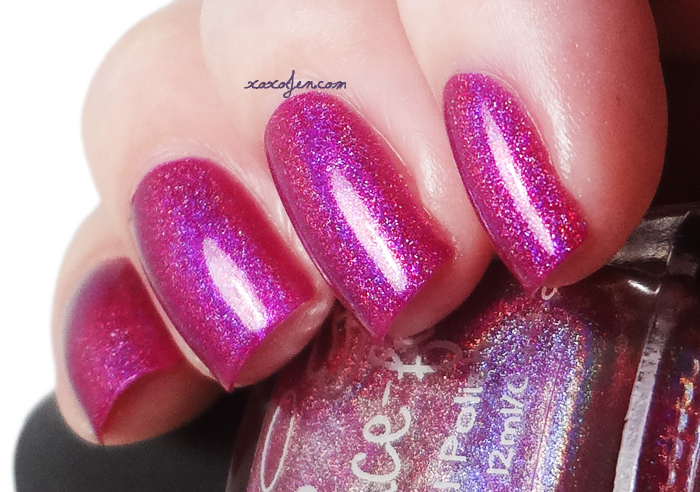 These are true to the collection name, in that they are bright and vivid shades with a punch of holo that will make a gal weak in the knees! Lime Splash – a lime linear holo with green-gold flakies which gives a subtle golden shimmer. I wore two coats with topcoat for the photos, formula is smooth and easy to control and very little cleanup needed. All Grace-full's I've worn so far have this formula which I know I can rely on with their brand. Same as the other, I wore two coats with topcoat for the photos, formula is smooth and easy to control with very little cleanup needed. 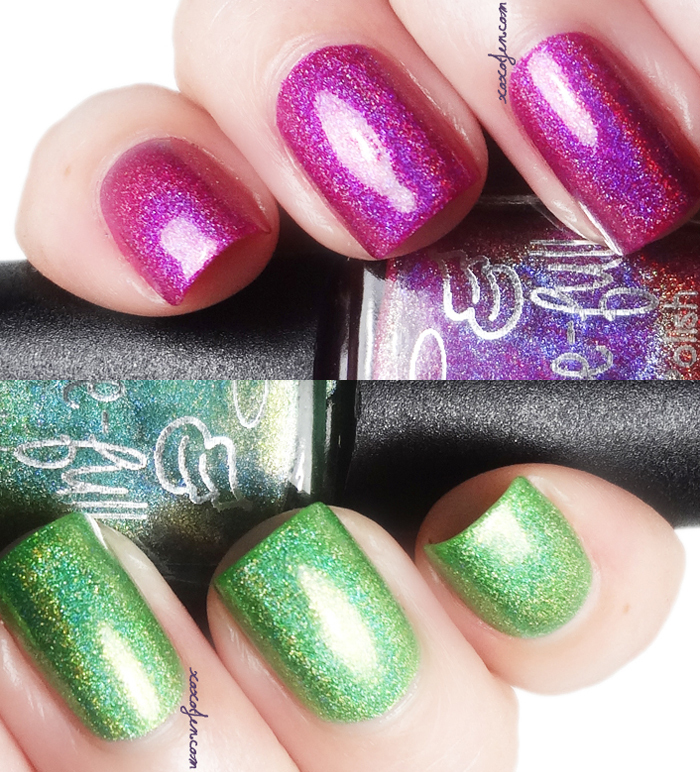 Lime Splash is currently available at Ella Ann Cosmetics and both polishes are available at the Grace-full shop. That super bright green in the polish Lime Splash is awesome and fun.